New music students often wonder whether or not it’s important to learn how to read music. That’s a good question, when you consider all the famous musicians who don’t know how to read music. But learning to read music is an important factor in learning how to play in instrument and in learning how to appreciate music compositions and music theory. Below are reasons why many music teachers stress the important of learning how to read music. Self Discipline: Learning to read music is like learning a new language, and that’s not a small undertaking. In order to learn a language, students must be patience and persistent and must also learn how to remain committed to a project. But the effort is well worth it in the end. In order to read music the student must develop his or her self-discipline skills by practicing daily and by going over material again and again in order to perfect it. Of course, developing the skills that are necessary to learning to read music can prove to have lifetime benefits. A Connection: There are other reasons why parents and music teachers encourage students to learn how to read music. The best way to understand a composer or his or her composition is through the notations and instructions that are found in the music. 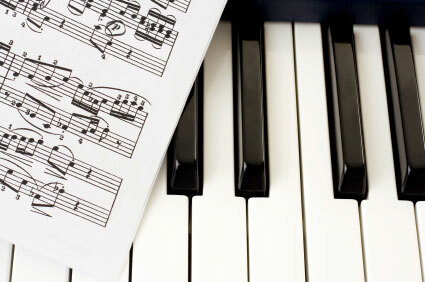 Learning the language of music gives the student a connection with the composer and the subtleties of the composition that he or she might never pick up when playing the piece. In addition, understanding harmonies, melodies and notes can help musicians learn a song quicker and play it the way it was originally intended. Develops Higher Thinking Skills: It’s no secret that learning how to play an instrument or participating in music education helps children improve their academic skills. Study after study points to the important of music education in child development, in fact learning how to play an instrument or read music develops a child’s higher thinking skills, including problem solving, analysis and evaluation. Scientists also know that music reading uses the same part of the brain as mathematic thinking, and by learning to read notes, harmonies and rhythm students are exercising an important part of their brain, and developing life-long skills. Encourages Learning Other Instruments: Once a student understands how to read notes and how to read music there’s a whole new world out there for them to embrace. Understanding how to read music can help a student learn other instruments quicker and enable them to continue to develop their musical skills and their appreciation for music in general.